Tired of trying to collect money for snacks in the office? This Vista Vend takes care of this for you. 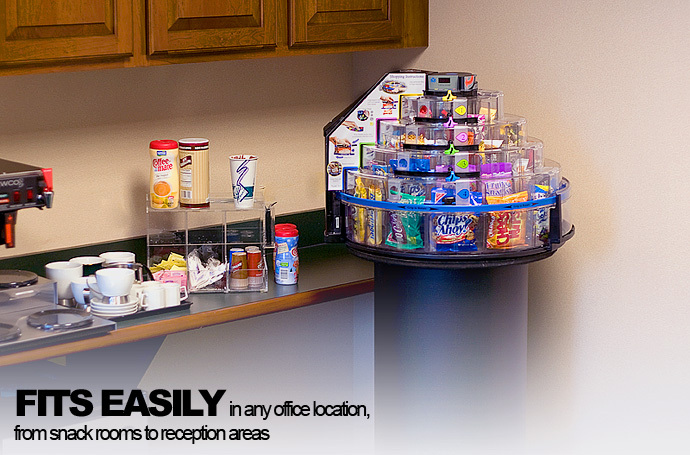 All you have to do is slip in the snacks your office would like, then let the machine vend for you. Secure money transactions will make sure everything is accounted for. Convenient snack products for the office, and easy accounting for the boss.